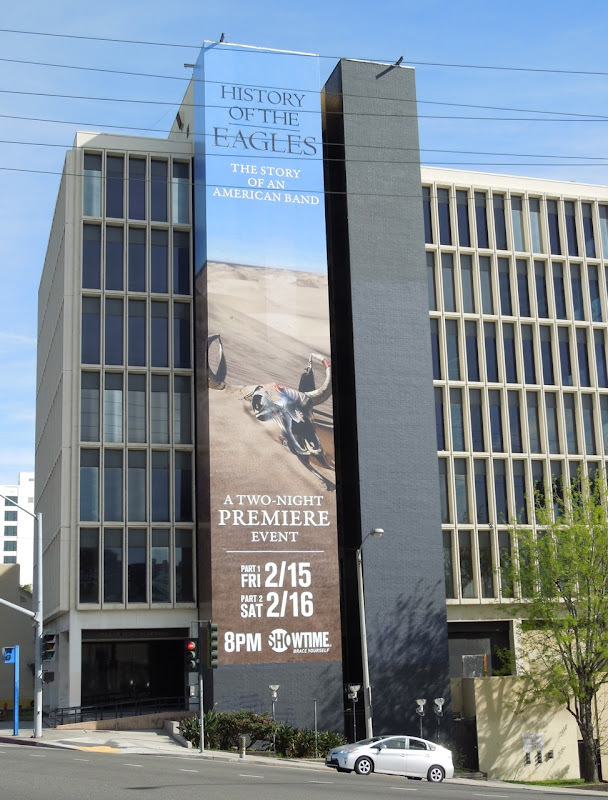 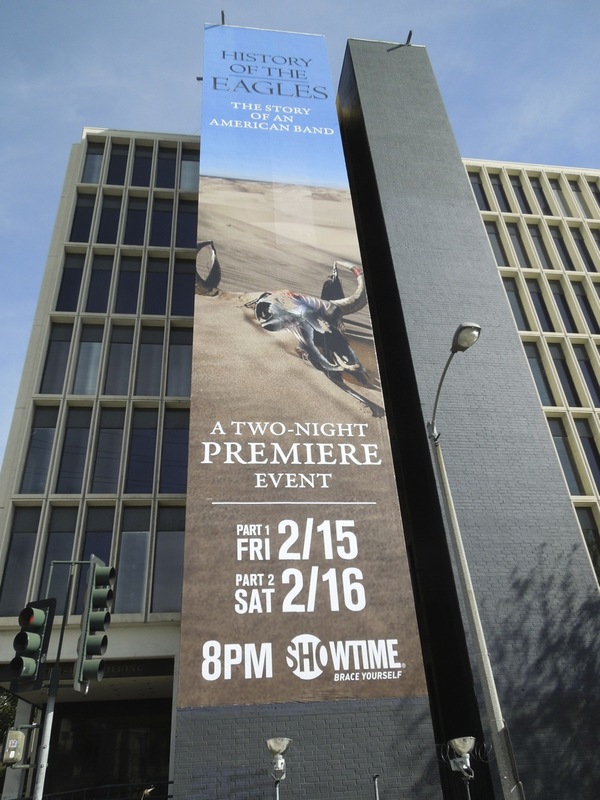 This is such an arresting visual for Showtime's History of The Eagles TV event, that Daily Billboard wonders why they restricted the creative to only one of the building's walls when to wrap the desert landscape across both would have been far more impactful. 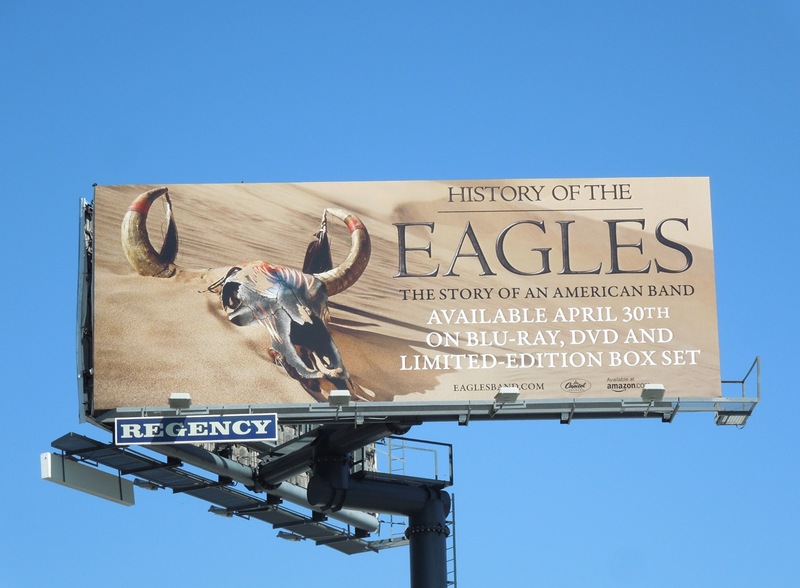 The two-night documentary movie about the American band contains rare footage and never-before-seen material about the rock group and their rise to fame in the 70's through to their 80's breakup. 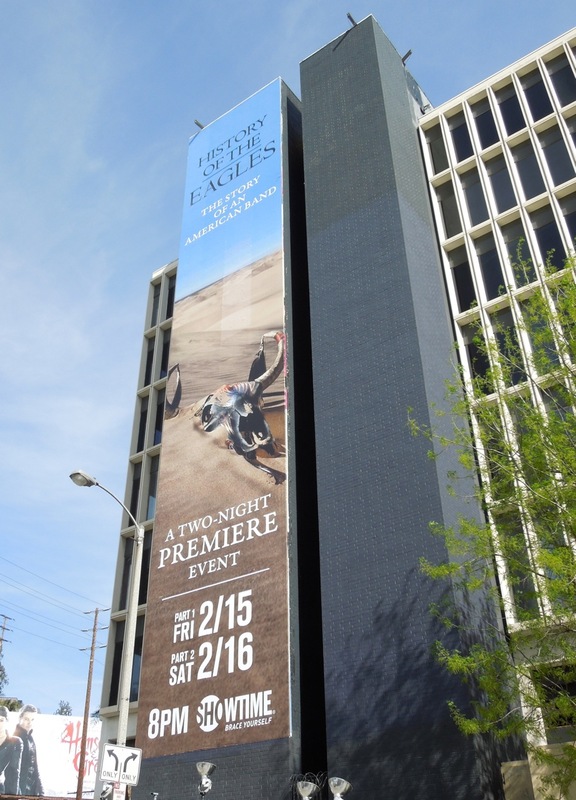 This vertical billboard creative at the top of La Cienega Boulevard along L.A.'s Sunset Strip is a nice tribute to the band's album covers and was snapped on February 3, 2013. 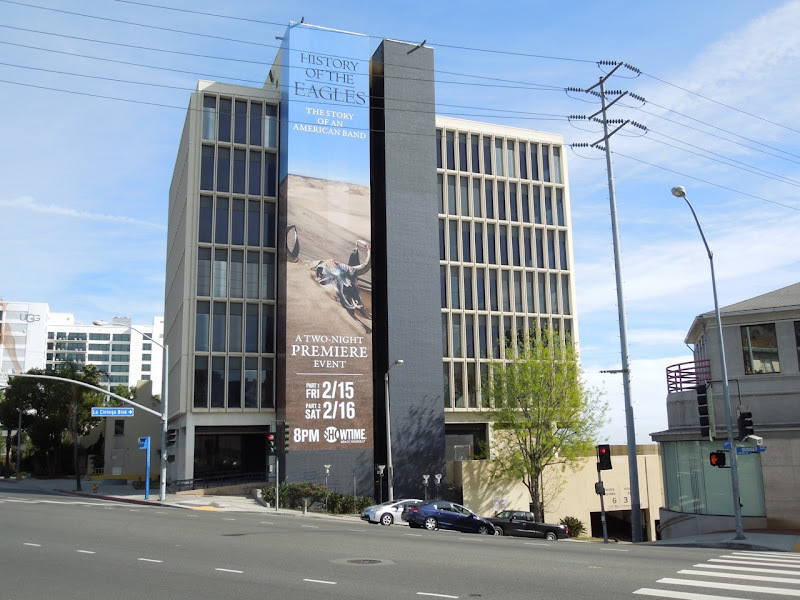 Be sure to also check out these other impressive creatives in the same location, like this eye-catching billboard for 2008's The Incredible Hulk, this Microsoft Surface tablet ad and a billboard for USA Network's Suits TV series. 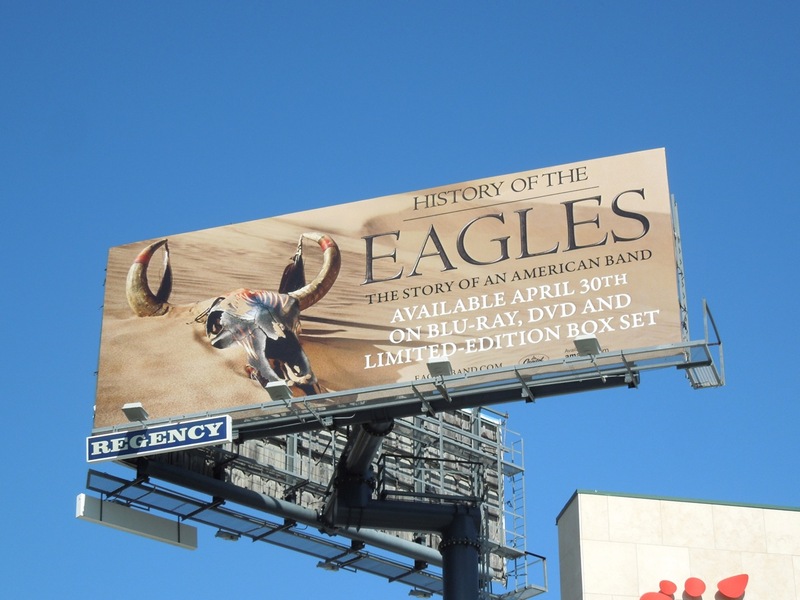 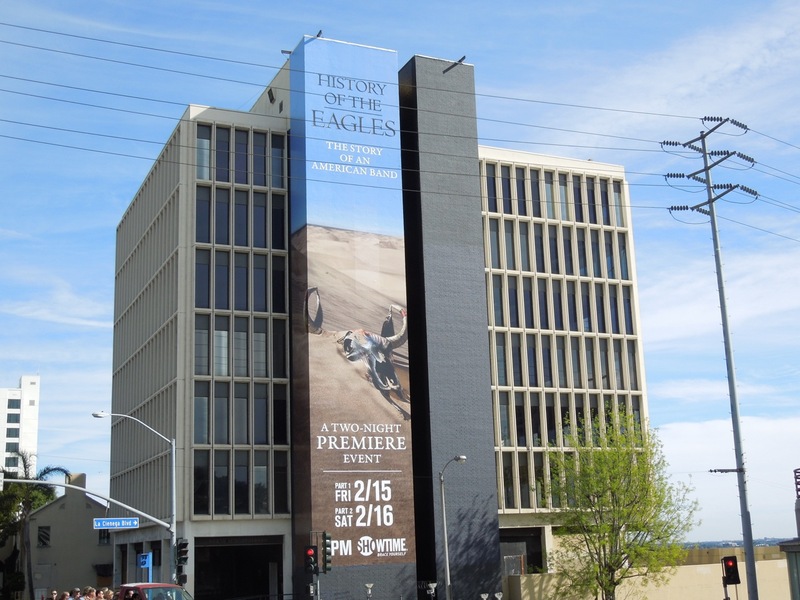 UPDATED: If you liked the giant billboard for History of The Eagles, then you're sure to love this eye-catching standard landscape creative for the Blu-ray and DVD release. 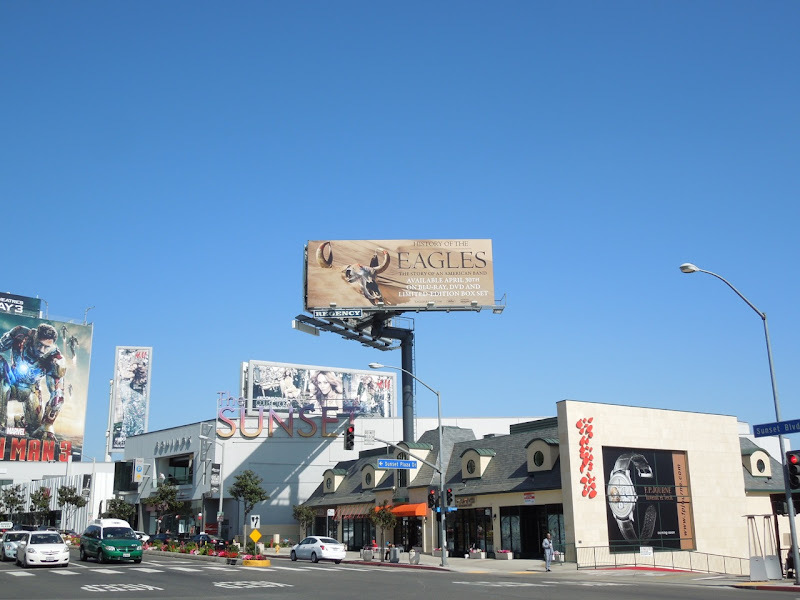 This rejigged ad certainly uses the cattle skull for maximum effect, creating an arresting and recognisable visual high above L.A.'s Sunset Plaza on April 6, 2013.